Well, it has been a really crappy month for me, but I am happy to be stepping back in with the following screen cast. 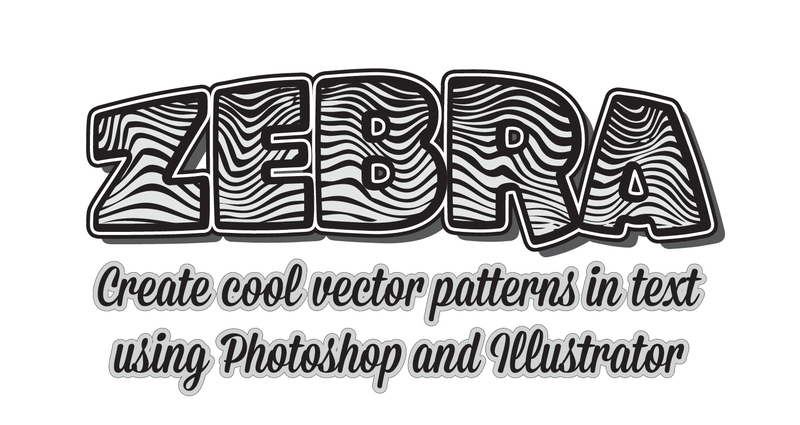 Here is a really useful illustrator tutorial on how to create vector fill patterns inside of objects and text. Although the final result is vector, I use Photoshop’s seldom applied “bitmap” mode to create a quick and easy pattern. After a few artistic strokes in the“Liquify” filter, it is then imported back into Illustrator. I hope you find it useful. An American living in Stockholm Sweden, David is now both a lover and a fighter. With design training and experience dating back to his suburban NYC beginnings, he admires the passion of artists and the skill of technicians. Good design is problem solving.